DXTViewer is a freeware, it cannot be sold or rented. You can copy it and distribute it freely. In case of distribution (CDROM, ...), you should simply inform The oZone3D Team (info [AT] ozone3d [DOT] net). For any bug report or feedback, please send an email to support [AT] ozone3d [DOT] net and add "[DXTV FEEDBACK]" to the subject. direct loading into the graphics video memory (no transformation stage required) Texture loading is dramatically increased even for high resolution images (4096x2048 for instance). 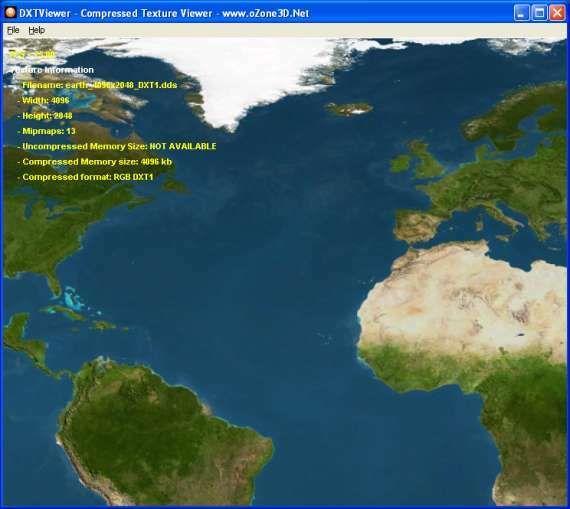 DXTViewer handles the following S3TC compression formats: DXT1, DXT3, DXT5 and ATI's 3Dc. 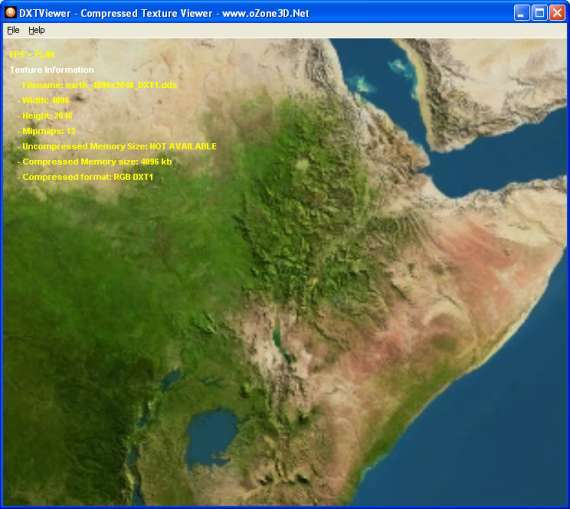 Furthermore, DXTViewer allows to load usual image formats such as JPG, BMP, TGA, PNG or GIF. These files can be converted in compressed textures in DDS (Direct Draw Surface) or O3TC (oZone3D Texture Compression) formats. The O3TC format has the same features than DDS (S3TC DXT1,DXT5 and ATI 3Dc), is really simple to load and is not Y-reversed like the DDS See the Bump Map Compression tutorial for more information about O3TC loading. Texture Saving in *.DDS (Direct Draw Surface) and *.O3TC (oZone3D Texture Compression) with DXT1, DXT5 compression. 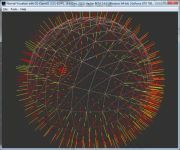 Version 1.1.0 of DXTViewer has been successfully tested with Windows XP SP2 and nVidia GeForce 7800GT (with Forceware 81.98) as well as ATI Radeon X800XL (with Catalyst 6.2). Here is a selection of compressed textures in DDS format. Page generated in 0.0021789073944092 seconds.